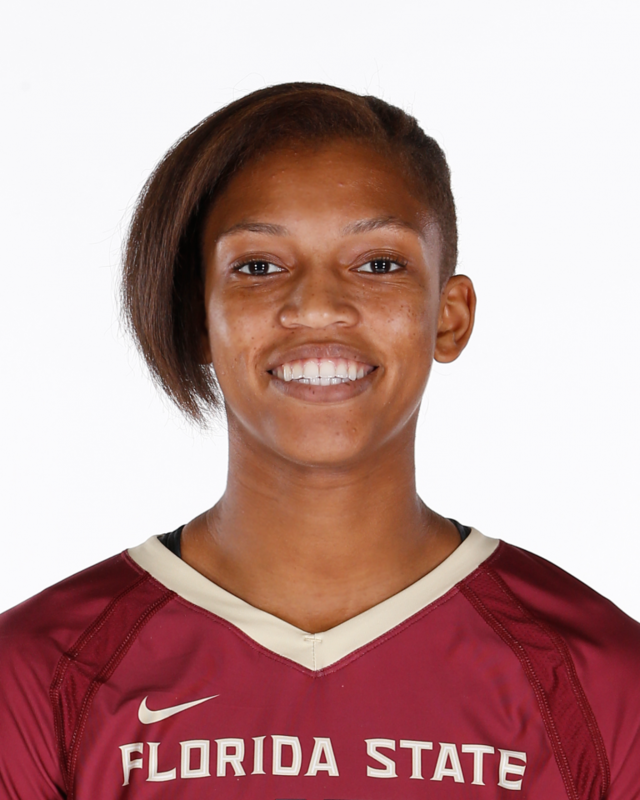 Made her debut as a Seminole at the Baylor Invitational, where she notched eight kills over the course of the weekend … Earned a .750 hitting percentage (three kills on four total attacks) with four total blocks against UCSB … Earned three kills on five total attacks (.400) with three total blocks against TCU…Assisted both the offensive and defensive efforts in the Seminoles’ first conference matches against Virginia and Virginia Tech, earning six kills on 13 attacks for a .307 hitting percentage, alongside her 11 total blocks (one solo) on the weekend… Stayed perfect on offense against Miami, earning three kills on six attacks to aid in the three-set win…Recorded a career-high two solo blocks (eight total) against Pitt… Earned her highest hitting percentage with five kills (.714) against North Carlina…Tied her career high of two solo blocks against NC State. .
Born Oct. 2, 1998 … daughter of Eric and Sherry Williams … majoring in Business Finance.